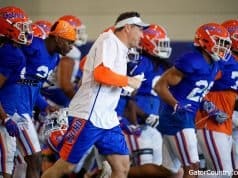 The Florida Gators wrapped up spring practice on Saturday with the annual Orange and Blue game. The offense was on display with the Orange team taking the game 60-35. 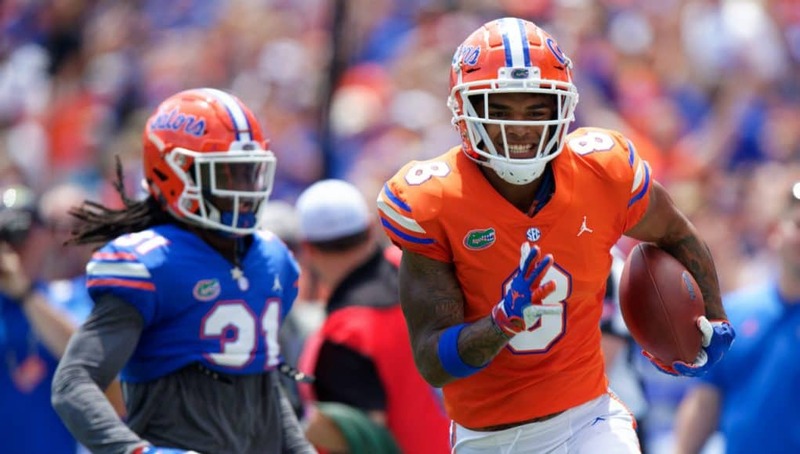 This year’s spring game was the highest-scoring game in Orange & Blue history, with the two teams combining for 95 points to break the previous high of 65 points – which came in a 35-30 game last year. With an action packed game it was hard to narrow down the list of top performers but we did just that. The junior took some time to come around last season, which was understandable. Grimes spent his freshman year at Ohio State and transferred to Florida prior to his sophomore season. It was a new playbook, a new team and a whole new environment and Grimes needed time to adjust. His athletic ability was never in question and he put that on display Saturday. Grimes hauled in four passes for 195 yards and two touchdowns. 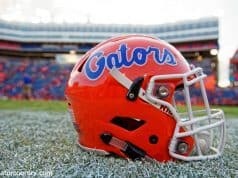 His 195 yards broke the Orange & Blue record set by Dallas Baker in 2004 (176 yards). The once embattled quarterback was exceptional on Saturday. Franks completed 72% (13-18) of his pass attempts. Franks was poised, confident and a leader on the field Saturday. The South Carolina game was the turning point for Franks. He hasn’t looked back since that game and he’s carried on with that progression this spring. Playing in his last spring game Swain would not be outshined, even with the day that Trevin Grimes was able to put together. Playing for the blue team Swain was a menace hauling in five catches for 115 yards and two touchdowns. After his first touchdown Swain punted the ball into the stands (he said Brandon Spikes was his motivation there) and jumped into the stands himself after his second score. Swain has been as consistent as any receiver this spring and he’s poised for a big season. The spring game started with a bang. Franks took the opening snap and handed the ball to Trevon Grimes on a reverse. 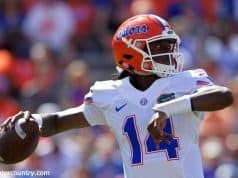 Grimes then flipped the ball to Toney before the former high school quarterback launched it down the field to Feleipe Franks. Toney also hauled in four passes for 94 yards and a touchdown. He continues to improve as a receiver and that in turn is giving him more opportunities on the field. He’s an electric player. It wasn’t all offense. John Huggins, who is replacing Chauncey Gardner at nickel, had a great game as well. Huggins is getting his first real opportunity to play and he made the most of it this spring. He has been a consistent and reliable defensive back throughout camp and showed out in the spring game. In the first quarter Huggins jumped a Kyle Trask pass, intercepted it and ran it back 80-yards for a touchdown. It is the longest interception return for a touchdown in spring game history.